a simple accompaniment. They saw their ideal in classical traditions and were inspired by what was known as citharody – a single vocal line accompanied by a cithara (similar to a lyre), much favoured by the ancient Greeks. Since people of the modern age naturally could not know for sure what this music was like in practice, they focused on the primary principles, namely the comprehensibility and high literary standard of the text. Opera was being written with this modern aspect in mind, and with it came new, greater requirements for sound quality, powerful resonance, range and varying vocal expression. Vocal culture flourished particularly at the turn of the 16th and 17th centuries and, from 1637 (the year of the founding of San Cassiano, the first public opera house in Venice), very quickly spread all over Italy and Europe as well. Vocal art and singers became fashionable, and opera was extraordinarily popular. Outstanding singers (back then, female roles were largely sung by castrati) enjoyed supreme social status as huge celebrities of their day. In order to consider the true artistic worth of singers during this period, we should take a look at the various direct and indirect testimonies available, such as the number, repertoire and standard of the opera theatres, books of musical travels, and reviews by contemporaries. The best evidence, however, is provided in surviving works on music theory and pedagogical literature and, of course, musical notation and manuscripts of operas, along with descriptions of how the operas were staged. The abilities of the singers themselves is reflected in the way in which the popular da capo arias were performed, involving the period fondness for florid embellishments and melodic variation. Extremely well coached and talented singers, moreover equipped with a thorough musical education that often included composition as well, even endeavoured to transcend their own skills. They were driven by strong competition, and also by the motivating environment of the theatre at that time. In such surroundings an impressive, big voice and excellent music and vocal instruction were not enough. The cultivated, critical and discerning public, whose ear was trained on every single uneven portamento, messa di voce or trill, misplaced breath or other vocal or musical impurity, let alone the singer’s chosen ornamental style, could not be easily deceived. It demanded true art, which was inconceivable without a flawless command of the vocal craft. Primarily, audiences expected certain skills of the trade. In the first place this meant a rich and beautiful tone with full expression, which is clear from the numerous expression marks evident in surviving sheet music. Some of them have survived as actual expression marks and tempo indications; other markings would confound us today. Then there was the necessity for flawless sound and musical articulation (legato, portato, martellato, stentato, staccato), moving from note to note using portamento and other techniques long forgotten today, via steps, jumps, perhaps two-octave leaps, scales, arpeggios, in combination with passages sung at breakneck speed, the alternation of fast and slow tempos, and subtly shaded dynamics. An impressive dynamic range was another of the venerable skills which would have been expected of the singer, and this not only to enhance the expression. Records survive testifying to an instance of messa di voce (a technique that involves a gradual crescendo and diminuendo, from the softest dynamics leading up to forte, followed by a smooth return to pianissimo). The standard of performance achieved by the singers of the day leads one to consider the nature of the teaching methods used at that time. What kind of teacher was capable of training a singer to hold his own amid such tough competition? Modern pedagogy, and thus also the era of the old Italian schools, originated in the beginning of the 17th century, in connection with the increase in demand for the high calibre solo performance mentioned above. Nevertheless, we should not see the start of this period as heralding a sudden change in tastes and teaching practices. On the contrary, this was a process of continual development that can be traced back to the latter half of the 15th century. Although there was naturally scant knowledge back then of the anatomy and physiology of the voice as we know them today, this never impeded the gradual development of ideal vocal pedagogy. Even so, or perhaps for this reason, the latter was founded on, and grew exclusively from, vocal and pedagogical experience. It also derived from a sense of overall harmony and balance, from an instinct for natural beauty and – as it might be termed today – for due efficiency in relation to the requirements and the musical and aesthetic norms of contemporary musical development, which it also influenced. Particularly informative is the fact that the typical and standard method of linking notes (musical articulation) during the early Italian epoch was not so much legato, as martellato. From a musical point of view, this technique was used to achieve an articulated, marked tone, the desired intonation, sparkling coloratura and so on. It also served as an important aid in vocal instruction and, at the same time, it promoted the health of the performer’s vocal organs. Martellato is essentially a falsetto legato in soft dynamics, where the singer applies regular pulsations, using his breath to articulate the notes with slight points of emphasis, and supreme flexibility and agility to “hammer” accents into the notes. The head voice (head tone) allows for effortless mixing of registers, while the breath impulses ensure the constant activity of the expiratory muscle and, with it, the sustained “elasticity” of the diaphragm. Vocal tuition lasted an average of seven years, and was very thorough and rigorous. The pupil was in permanent contact with his teacher and had instruction on a daily basis. It would be hard for us to imagine what the lessons were like, or indeed the spirit in which such schooling was provided. Nevertheless, we can justifiably assume that the pupil would have been captivated by his teacher’s artistic mastery and swept up in the period atmosphere where vocal perfection became an obsession. Once daytime studies had ended, pupils were encouraged in the evenings to meet major singers of the day, whose beguiling performances further propelled young novices to devote themselves to conscientious vocal study. What was the essence of instruction in true bel canto? 1) The aim of the instruction was to achieve a balanced, rich and expressive voice with secure intonation, flexibility and sufficient range in dynamics and register; pupils were also expected to develop a controlled breathing technique, employing both strength and stamina to sustain the notes. a negative impact on educational practice. 3) Finding the right balance between these registers was part of the overall development of the voice, achieved through a relaxed, upright posture, the mouth would form the letter A, adopting a smiling position, and the breath would be controlled in the interests of “chest strength” or “lung strength” and a relaxed larynx. 4) Vocalises and solfège (solfeggio) were incorporated into vocal training from the outset, where the voice remained in the lower middle range, working from piano or mezzo-forte. Portamento and messa di voce were deemed particularly effective as teaching devices. Pupils experiencing problems with breaks between vocal registers were taught to adjust both registers until a complete “merger” had been achieved. The key to this technique was the softening of the chest register in transition to the head voice (the so-called “falsetto function”), and the fluid strengthening of the head register with the help of slight accents. This sound adjustment was also executed on repeated notes of the same pitch in alternating registers. 5) The range and dynamics were only increased in stages. The pupil’s training incorporated sustained notes and vocal movement, from small steps to major leaps; in general these were progressive moves from second intervals to octaves and beyond, in scales, arpeggios and musical passages, and this primarily to the A vowel, or the syllable La. Like every epoch, the old Italian schools had their day and began to show signs of decline. Vocal tuition was determined by musical styles. Musical development from Beethoven onwards assumed more impassioned, more romantic and more dramatic forms. Instead of martellato, singers were required to employ expressive legato; brilliant coloratura was replaced with heavy, sustained phrases; and light, nimble parlando gave way to chiselled, dramatic diction. The nemesis of singers at that time, however, was the orchestra which, as it increased in size and importance, extricated itself from its role as mere accompaniment. The simple fact that, despite the much bigger sound of this modern orchestra (given both the larger number of players and the structural modifications of certain instruments in the interests of a more powerful sound), human vocal organs remained the same, speaks for itself. Previously, composers had taken into account the natural capacity of the human voice and, although their compositions were highly virtuosic, they never jeopardised the voice’s natural function. The era of musical Romanticism ushered in a diminishing respect for the boundaries of the human voice. The call for monumentality demanded an increasingly stronger sound, not just from the orchestra, but from the singer as well, who now found himself in a daunting situation. On the one hand he wanted to oblige the composer and fulfil his vision yet, on the other, he was aware of the importance of maintaining a healthy voice. Vocal fitness and the necessity for a proficient command of the vocal part thus presented voice tutors with a major problem. 19th century teachers, however, instead of adopting time-tested methods and developing them further (for example, exercises promoting greater diaphragm support), sought a different way to create the tone. 1) Overstraining of the chest register in an upwards direction, impeding the automatic blending of registers. 2) Disproportionate strain in the larynx which could damage the vocal organs. 3) Unnaturally dark tone colour of the voice and lack of textual clarity. The old term “bel canto” began to be used in an entirely different sense – to denote weightier singing, a voice that was encumbered, thunderous, and in most cases lacking in agility and unable to master soft dynamics. Certain types of audience still admire this Romantic style, but it often creates an aversion to opera in general in the younger generation. Fortunately, slowly but surely, we are now witnessing the renaissance of the old singing style – particularly in the case of performers who strive for authentic, historically informed interpretation. Bel canto flourished in tandem with the golden age of the castrati. Thanks to Gérard Corbiau’s film Farinelli (1994) the supremacy of the castrati in the world of music became a relatively broad topic of discussion. This theme is, however, more complex than the film would suggest. While castration is deliberately portrayed in Farinelli as sheer perversion, society at the time generally sanctioned the procedure. An extraordinarily talented young male singer would become a castrato following his castration fairly early on in his life (usually between the age of seven and nine) for the purpose of preserving his soprano register. Castration interfered with the production of hormones, which then prevented the growth of the vocal folds (vocal cords) in puberty. As an adult singer the castrato thus had the vocal folds of a boy, but the resonance area and lungs of an adult male. His underdeveloped vocal folds afforded him exceptional vocal mobility, his vocal resonance area allowed for uncommon sonorousness, and his lungs (in conjunction with his small vocal folds and the greatly reduced expenditure of breath associated with this) provided him with “never-ending breath”. Together with these advantages the castrato was also able to preserve the character of a boy’s singing voice – which was naturally duly reinforced by large resonating chambers. a serious operation and the costs were usually covered by the patient’s singing teacher. a livelihood not only for himself, but also for his family. a private singing master, or at a music institution. The castrato’s complete instruction period (given that tuition began at an early age) might have lasted ten years. Surviving sources state that the curriculum of boys at the Naples Conservatoire included two hours of singing a day – thus one can only imagine the level of technique involved. The best castrati became idols in the eyes of their public, something akin to the television superstars of today. Composers sought them out as well, hoping to acquire them for performances of their works. The most celebrated castrato was the above-mentioned Farinelli, the stage name of Carlo Broschi (1705 – 1782). Farinelli was said to have aroused strong emotions when he sang to his audiences. His voice was restorative, but it also provoked hysteria. According to surviving documents, he was able to sing 150 notes in one breath and could hold a single note for a whole minute (in this second instance records differ somewhat; a duration of 50 seconds is also cited). He was one of the greatest celebrities of his day and he associated with some of the most important and most powerful men in Europe. Carlo Broschi was born in Apulia on 24 January 1705 as the second son of the aristocrat Salvatore Broschi. His higher origins thus render him one of the few exceptions. Carlo and his brother Riccardo, eight years his senior, were probably initially taught music by their father. A major part in the boy’s education, however, was played by Nicola Porpora, the famous opera composer and teacher of castrati. Carlo Broschi submitted to castration between the age of seven and eight. His instruction did not entail merely vocal tuition, but also composition and the harpsichord. Apart from the teacher, material support was also important, this coming from a patron whose name the beneficiary generally adopted. Carlo was supported by the Farina family from Naples, whose name he assumed in the modified form of Farinelli. He gave his first performance in Naples in 1720 in Porpora’s serenata Angelica e Medoro. His success was so phenomenal that a whole string of further appearances followed and Farinelli’s fame began to spread very quickly. After Naples came Rome, then Bologna, Venice, trips to Vienna and other European courts. Securing this young castrato for opera engagements soon led to considerable financial success for all concerned (although, as was the custom, much higher sums were paid to the singer in comparison with the composer, the difference conceivably being as much as 1,000 ducats). Fourteen years after his Neapolitan debut Farinelli joined Porpora in London and performed at the Opera of the Nobility. The young Italian castrato was a major triumph in London, his skills creating an aura of awe and wonder. Period sources even mention that his singing made such an impact that the musicians accompanying him would forget to play. After three years performing in London, Farinelli accepted an offer from the wife of the Spanish king, Elisabeth (Elisabetta) Farnese, and was appointed court musician in Madrid. Here he performed daily for several years, helping to drive away the depression suffered by King Philip V. And this was not his only task; Farinelli played an important role at court, supervising musical events. He was responsible for the reorganisation of the opera house, he received a knighthood, and there are also speculations that he may have held important political posts. When Charles III came to the throne, the respected singer was accorded a generous pension but was requested to leave Spain (probably in order to make way for the protégé of the king’s mother). Farinelli returned to Italy and settled in Bologna. Here he lived out the remainder of his life in tranquillity, surrounded by his impressive collection of paintings, keyboard instruments and manuscripts. He whiled away his time playing the harpsichord and the viola d’amore, writing poetry and music, occasionally singing, and receiving visitors. And these were no ordinary visitors: Some of the most distinguished included Christoph Willibald Gluck, Wolfgang Amadeus Mozart, Giacomo Casanova, and Emperor Joseph II. Farinelli died on 15 July 1782 and, at his request, he was buried in Bologna. There is no sign of his original tombstone since his place of burial was destroyed during the Napoleonic Wars. Even towards the end of Farinelli’s life, castrati were gradually being driven out of the limelight. Composers such as Mozart and Gluck, while admirers of Farinelli, were creating a new type of hero, which required a different type of voice. Castrati were being superseded by tenors; in the 19th century composers were writing their music for tenors alone. The last operatic castrato, Giovanni Velutti, died in 1861. Castrati served in the Sistine Chapel until 1902 and their tradition continued until 1903, when they were banned by Pope Pius X. Until that time they had been unofficially tolerated. The last castrato, Alessandro Moreschi, who never performed in public, died in 1922 having made two gramophone records. Regrettably, from a technical point of view, his singing is of poor quality and points more to the fact that the original bel canto technique died out before the last castrato himself passed away. Likewise, efforts to reconstruct Farinelli’s voice, as attempted in Corbiau’s film, have yielded questionable results. The electronic mixing of countertenor and soprano voices (Derek Lee Ragin and Ewa Malas-Godlewska respectively) seems mechanical and unnatural – and certainly doesn’t arouse the kind of emotions that, according to contemporaries (such as music historian Charles Burney), Farinelli’s voice had elicited. Why choose a boy soprano? 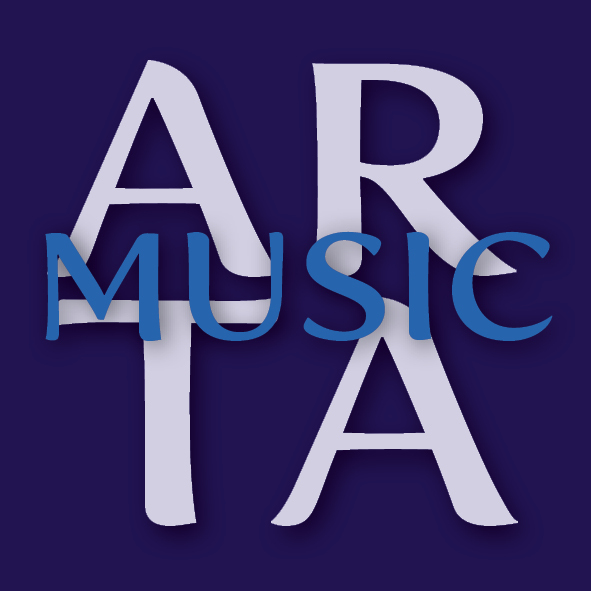 During the current revival of early music, castrato arias are most frequently entrusted to countertenors, yet even this practice can only emulate the sound of the castrato voice to a limited extent. The technique employed by the countertenor is entirely different. The castrati had the vocal folds of a boy and used them to their full extent when they sang, that is to say, in low registers they vibrated fully, and in high registers the vibrations occurred with the shortening of their membranous edges. They were thus perfectly able to satisfy the need to combine registers in bel canto singing. On the other hand, the countertenor is a singer who is a “whole man”, but the way he works with his voice is unnatural. Since his vocal folds are those of an adult male, they are forced in soprano and alto registers to function only with the extreme membranous edges, which makes for a very one-sided effort. Conversely, the chest register, which predominates naturally in adult males, is not utilised. The technical feats of castrato singing, in particular, the sparkling coloraturas, can never be polished to perfection in this way. Even though certain countertenors achieve excellent results despite these limitations, their performance can never match castrato singing. Castrato arias may also be sung by boys before the voice change. Here, different limitations are involved. The training period for a boy’s voice is very short. In some cases the voice change can occur at the age of eleven. Lung capacity and the size of the resonating chambers are physiologically determined. If a boy begins his vocal tuition at the age of six, for example, he only has between five and eight years to perfect his singing technique. A castrato would have had his whole life to work on his voice. Boy sopranos (trebles) can therefore never hope to achieve the vibrant resonance, the agility, the “never-ending breath”, or the quality of emotion of adult castrati. Yet this method of revisiting the castrato repertoire has its merits. The main advantage is the chance for us to discover – as far as a child’s voice will allow – at least something of the tone colour of the castrato’s voice. At the same time, a boy soprano (or treble) would be able to perform works which were written for his contemporaries during the bel canto era – “professional” boy sopranos who were active during the 17th and 18th centuries, some of whom would have continued their singing career as castrati. The aria Barbara on this recording may serve as an example, a piece G. F. Händel wrote expressly for a treble voice, for a “future castrato”. David Cizner’s singing career will naturally take a different course. This foray into the castrato repertoire from the original bel canto era, however, has provided him with valuable experience, which he hopes to share with listeners to this CD and singing teachers alike. 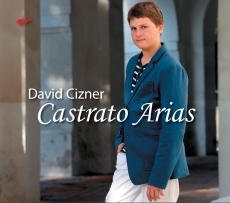 DAVID CIZNER was born in Prague on 12 February 2002 into a musical family. His mother Květoslava Ciznerová was working at that time as a singing teacher in Prague and as the artistic director of the early music ensemble Musica Fresca. She began giving David classical singing lessons when he was five years old. His mother had studied the history of vocal technique and based her teaching on the principles of the original bel canto in which boys had been instructed in Italy in past centuries. The rudiments of this form of vocal tuition, which encourages pupils to cultivate a relaxed and natural tone, differ considerably from the teaching methods adopted today. After a few years of instruction David received his first singing engagement, performing the vocal exercises and providing demonstrations for the Internet textbook on vocal technique for children Unique Vocal Technique for Kids (www.vocaltechniqueforkids.com), written and compiled by Květoslava Ciznerová. At the age of nine David became a fully fledged vocalist with Musica Fresca and later on joined other ensembles as well. In April 2012 he participated in the Brno International Music Festival, where Michael Pospíšil presented Jan Jakub Ryba’s Responsories for Holy Week, in which David sang the treble solo. By the age of eleven he was winning prizes at various children’s singing competitions: Vinohradský slavíček (“Vinohrady Nightingale”, 2010, 1st prize; 2011, 1st prize), Karlovarský skřivánek (“Karlovy Vary Lark”, 2011, 2nd prize), Pražský pěvec (“Prague Singer”, international competition, 2011, 1st prize). At the age of ten he recorded the solo CD The Celebration of Trebles, subtitled “The beauty of the treble voice”, in 2012, featuring Květoslava Ciznerová as artistic director. The CD was published in Prague by ARTA Records. One of the major highlights of his singing career to date was his appearance at the closing concert of the Smetana’s Litomyšl festival in 2013 for a performance of Leonard Bernstein’s Chichester Psalms, where the solo part is written for a boy treble. At this concert David sang with an orchestra and mixed choir to an audience of 1,500. 2014 saw the release of another solo CD, Lauda puer Dominum [Praise the Lord, My Boy! ], and the CD O smrti i vesele [Singing Joyfully of Death], which he recorded in collaboration with Martin C. Putna. Another CD came out in 2015 – again with Martin C. Putna – entitled Písně pro Ježíše [Songs for Jesus]. That same year David recorded his last solo CD, Castrato Arias. Here his career as a soprano drew to a close since, at the age of thirteen and a half, his voice began to break. His performances as a soprano, however, are captured on numerous recordings.